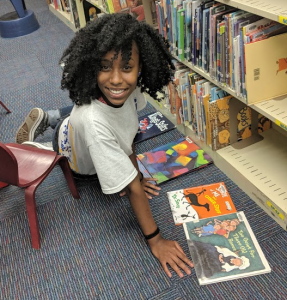 Thanks to the generosity of the Dollar General Literacy Foundation and YALSA, this year Pearl Bailey Library has three summer Youth Leaders: Sari, Na’quan, and Alysse. 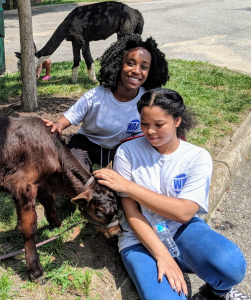 These three will learn valuable workforce skills while helping us successfully pull off all of our Summer Reading activities and summer outreach events, as well as organizing the youth during programs and activities, and keeping the library organized as well. While in our Youth Leaders Program across the Wickham Avenue Alliance, they also receive career research training, learn teamwork skills and conflict resolution, all based on the Career Investigations Curriculum. The Youth Leaders also receive customer service training taught by experts from Starbucks, and they take money management workshops from Bayport Credit Union. Alysse loves books (especially the Harry Potter Series) and dancing at the MixxedFit class in the library. She wants to be a nurse. 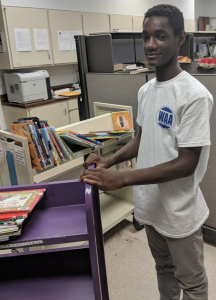 Na’quan loves to sign up teens for tournaments playing the Playstation 4 in the library. He is active in Air Force Junior ROTC and wants to go into the Air Force when he finishes school. 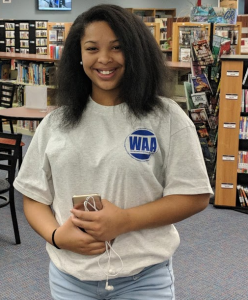 Sari has been coming to Pearl Bailey Library all her life, and appreciates the quiet study spaces the most. She studies hard, because she wants to be a veterinarian and a writer. Alysse and Sari rest after assisting our younger Summer Reading participants at our Teeny Tiny Farm Event. 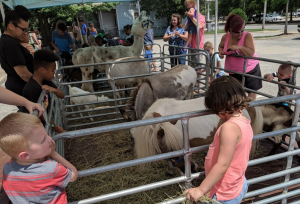 Over 180 children and families attended the Teeny Tiny Farm petting zoo activity.